It is so easy for me to come on here and tell a funny story, list off some randm facts, or even share a little bit about my life. I tell you how I worry, and how I am incapable of cooking chicken without crying, but I never show you the ugly side. I am sure to cover that up. I'm not talking about my ugly side that comes out at night when I wash off my makeup, because I have probably shown you that at one time, or another it is unavoidable. I'm talking about the ugly side that I try to keep hidden, but it pops out every so often and disrupts things. The ugly side that makes bad decisions and then repercussions have to follow. I wish I could go into the future and take away all bad decisions that I will eventually make. Because the repercussions are not fun. Last night was one of those nights when the ugly side came out. My sister irriated me, and because it was my sister and she is in the inner circle she gets to see the ugly side. I was irritated, so I sent her a not so nice text message, I wouldn't do this with just anybody, only the lucky ones that are in the inner circle. Some may not think that seems so lucky. The sad part is, it wasn't an impulsive decision, I thought about it. I thought about how what I was going to send her could potentially hurt her feelings and then I would be left with the hangover of my decision. But I did it anyways, the ugly side took over and I pushed send on the message, and then found out that I had hurt her feelings to the point of tears. My ugly side can be pretty ugly and I hate it. It is nice to keep this side of me hidden, but I don't want the ugly side to have that kind of power. 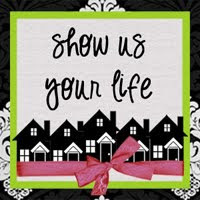 I want to expose it and hopefully learn from it. Although I do think that every-time something like this happen and then I go on and hurt somebody else's feelings. And sometimes sorry isn't enough. Yes it is good to say it, but it doesn't take away the guilt and the shame knowing that you made a bad decision and let the ugly side come out. Maybe one day I will learn, hopefully soon. I hope you never have to see this ugly side. But if you do it means you made it to the inner circle so thats a plus right?!?! AND this is off the topic but I need to share it:I did NOT brown the meat for the meatballs. Instead of calling Big Mama I totally emailed her and she told me to put it in the oven raw and the oven cooks it. We are practically BFF. Today on the way home from work I stopped by Target to pick up some groceries to eat for dinner. Because apparently that's what I do these days, I go to the grocery store EVERY BLASTED DAY. And can we talk about Target for one moment? What is the deal with the grocery carts? I can never pull them apart when they are all stuck together. I swear somebody is sitting behind a camera laughing at all the goofballs trying to pull those carts apart. Sometimes I pull a cart with all my strength (which isn't much, I admit) and I still can't pull them apart. It. Is. Embarrassing. Does anybody else know what I'm taking about? Anyways, I had decided to make the Meatball Sandwiches that Big Mama posted on her blog today. And I needed to go get some groceries. I'm telling you I am a sucker for recipes on blogs. If you post a recipe I will most definitely be trying it. So after my 'quick' trip to Target had turned into 40 minutes I decided to pull myself away from the lamps (I get distracted easily) and head home to start cooking dinner for my husband. On the way home I realized I didn't know if I was supposed to brown the meat or just stick it in the oven. And as most of us know, I have some major cooking fears. So I was sort of freaking out trying to figure out if I needed to brown the meat or not when I honestly thought: I just need to call Big Mama and ask her how she cooks the meatballs. It was a cold slap in the face when I realized that I had crossed the fine line between a blog 'follower' and a blog 'creeper'. I do not know her in real life. I would never call her. 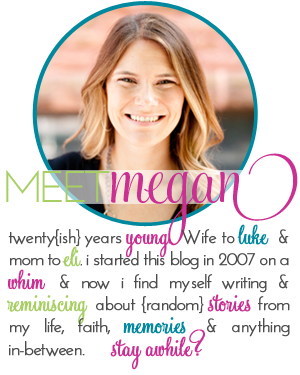 I have begun to refer to my blog friends, no longer as 'blog friends' but now as 'friends'. "Well my friend-actually she's not really technically a friend-I know her through the Internet-through blogs-shes a blog friend-but I totally think we would be friends in real life if we ever met, had that happen to her". And, I have said it once before and I will say it again, you cannot adequately explain the blogging community to those who are not apart of it. But it is great and I am thankful for the friends I have made through this community. I never would have thought that people I met over the internet could have become real life friends. When I as younger I always wanted a pen pal. Like a friend that lived in China and wrote me letters. But now I have all of you and I truly love receiving all of your comments everyday, this is better than a pen pal! And I did have a friend from China leave letters for me in the form of annoying spam comments, and it was not all that great. So thank you to all of my friends that listen to my ramblings, agree with crazy things I say, leave me encouraging comments when I need them, and help me when I am in a dilemma, especially a chair dilemma. 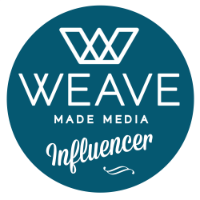 I am glad to have so many great blog friends! I have so much going on right now, and so many throughts are swirling around in my head. Lots of thoughts on what makes a true friend? How do I know where God is leading me? Lots and lots of questions. Sometimes I think too much, and ask too many questions. And sometimes through random throughts funny stories come to my mind, and this story is one that just randomly came to my mind the other day. It is a true story. There was a time when I was 10 or 11 (or maybe older then I would care to admit). However the story is about a special newspaper we received in the mail. This newspaper was from a little company named Publishers Clearing House. The headline on the front page of this paper had my dad’s name written out and it said that he had won a million dollars. I was in shock, I couldn't believe that my parents had not told me that we won this money. I raced to my mom holding the newspaper, excited out of my mind. First thing I wanted to do with the new money: Put in a swimming pool in our backyard. No ifs, ands, or buts about it, I wanted a swimming pool. We were millionaires now. Why wouldn’t we put in a swimming pool? When I showed my mom the newspaper she started laughing and said it wasn’t real, it was just junk mail. Why in the world would it be TYPED AND PRINTED OUT if it wasn’t real? This was not a joke, we won the money and they were coming to deliver it soon. Hello! The prophetic newspaper told me so. I remember being slightly miffed at how my mom just dismissed me. She was talking to one of her friends and said something along the lines of “Oh she saw one of those fake newspapers and thinks that we won a million dollars”. I’m telling you now, nobody has ever taken me seriously in my life. And now that I am telling this story, I am starting to see that there is reason for that. Anyways, I don’t remember how I was finally convinced that it wasn’t real. Perhaps it was the fact that nobody ever delivered the money. And we are still not millionaires. I was so naïve and quick to believe that we had a million dollars waiting for us. All we needed to do was wait for somebody to deliver it. But it was so easy to believe. Which makes sense as to why sometimes it is so hard for me to trust God. I cannot see into the future, I cannot see what plans he has. But if he wanted to send me a prophetic newspaper I would be more than willing to receive it. But I know wanting to see into the future would be not living out in faith and believing who He is and what He is doing. Sometimes living out in faith is the hardest thing ever and I want to throw a big temper-tantrum and say please just tell me what the heck you are up to up there Mr. God. But I am reminded through his word to hold on and to keep seeking Him. So there will be days where I am frustrated, and maybe even days where I am questioning, but the best thing I can fall back on is to know that His words will never fail me. These do not come to me with empty promises, but full of life. And I keep holding on to that. Call it my own little prophetic newspaper if you will. This weekend was such a great one! I love weekends that fly by because they are packed full of fun times. I don't necessarily love that the weekend flies by so fast, but I do love a full weekend. Weekends with not much going on kind of stress me out. Friday started off with a date night with the hubs. Always fun times with that guy. 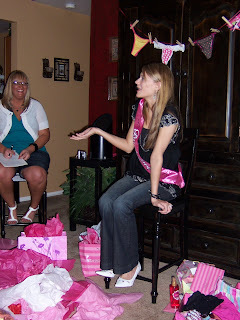 Saturday I had my friend Tambra's personal shower. 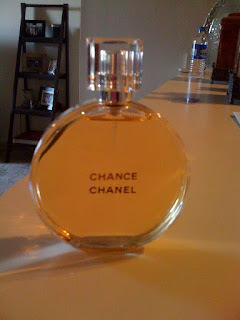 I went shopping for her gift that morning and then get ready for her shower. Me, the bride and Jodi (we all lived together in the dorms freshman year) The bride with all of her bridesmaids: The rest of the day was spent hanging out with girlfriends. So much fun. I felt bad because I neglected Luke for a day, but we all need our girl time, right?!?! 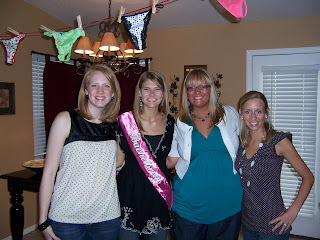 Jodi and I hanging out with Jayma: The day was so fun and made me so ready for Tambra's wedding next weekend! I can't wait! I picked up my bridesmaid dress and shoes and they are gorgeous! I can't wait!!! Sunday after church Luke and I headed to my house to hang out with my family. I was in need of a hair color and my sister had a free afternoon to do my hair. Have I mentioned just how much I LOVE having a sister that does hair?!?! Seriously, best thing ever. And of course, going home comes with the added bonus of hanging out with this cutie, Maxton. I don't know why both boys aren't smiling in this picture, they look very serious. Luke was sitting in this chair watching TV and Maxton crawled up there to sit with him. So cute. Here he is "helping" his momma: Me and my sweet nephew in his PJ's (and my slightly darker, and freshened up highlights hair, gotta get ready for fall): The girls with our cute boy: After hanging out with the family, and of course watching our favorite show Big Brother we headed back home. The drive is almost two hours, but we drive it so much it flies by for us! Such a great weekend, I am ready for next weekend! Tonight, I realized that I never put up the final day of our Disney World Trip. And for everyone who asked, I will be putting the tannie recipe on the blog next week. Our final day at DW was spent at Animal Kingdom. This is the newest park at Disney World and my 2nd favorite park. I think some people have the misconception that it is a glorified zoo, which I do not think it is. But remember I do love all things Disney and really never have anything negative to say about that place - the happiest place on Earth. We started the day off early and were part of the first crowd of people in the park. Upon arriving at the park we split up and Haley and I went on this ride called Dinosaur we did not know that we were in for the scare of our life. Seriously, scariest ride ever. Right now I can tell you that yes, those were fake dinosaurs in the ride but when I am in the middle of it and a freaking T-Rex is about to eat me, I cannot tell you it is fake. They make those things look so real. This is a picture of a picture, but Haley and I are in the front row, about to be eaten and scared out of our ever-loving-minds. Look at the girls behind us they couldn't even look at it. 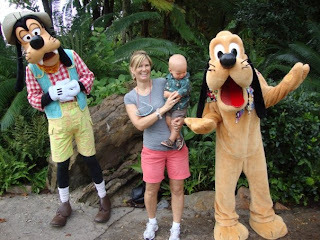 While we were on the ride my mom tried to introduce Maxton to Pluto and Goofy and he pretty much freaked out. Apparently he is not a fan of people dressed up in costumes, and frankly neither am I. Here we are in front of The Tree of Life. Me and Haley in front of our favorite roller coaster. We rode it once in the rain and it froze on the track for a good 30 seconds. I was pretty sure my life was over at that moment but I tried to reamin cool, calm, and collective as to not freak out the younger sisters, and so that Luke wouldn't make fun of me. Cute Maxton on a little hut somewhere in the park. We basically just stick him anywhere to get a cute picture. 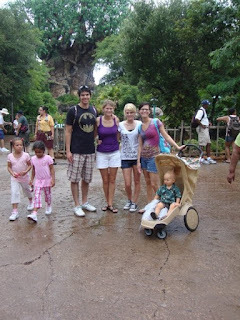 Later that night we went to Magic Kingdom and rode rides until 2 in the morning. So much fun. Here is the beautiful castle at night. The next morning Luke and I woke up bright and early and headed home. 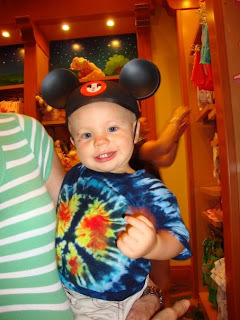 We had to leave the trip early because Luke had to be back for church on Sunday, so while we headed back home my family stayed and had another amazing day in Disney. Everybody was pretty much devastated that we had to leave. I mean, look how upset Maxton was: I might have cried the whole way home thinking about how my family was still at DW having a great time and I was on a slow plane back to reality. Our trip was amazing and I am thankful that we were able to go on it and spend that week with my family. If you ever have a chance to go to Disney world, Go! Friends: I'm glad to know that others of you have felt the wrath of the bad 'sitting face'. We can all stick together. Ok, now, if you are reading this blog post then I need your help. Sunday I mentioned that Luke and I got new end tables for our living room setup. While we are living in our teeny tiny apartment we are trying to complete our furniture set so that when we move to a house we can focus on other areas of the house and not spend money on living room furniture. However, I already know that my Materialistic-Americanized-Self will probably want to get new furniture when that time comes. But I know that I will need to send those thoughts back to the pits where they come from, gotta flee from that stuff! Anyways, while we were table shopping, I found several chairs that peaked my interest. I have wanted to add a chair to our couch and sofa set up for awhile. 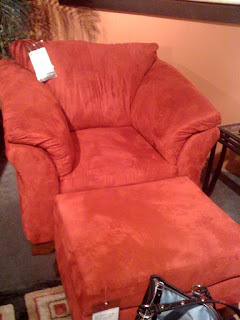 I had nearly talked Luke into buying a new chair, but then we couldn't decide which one we wanted. And being the completely indecisive people we are, we decided to not make a decision until we knew for sure. I told Luke I would take it to the blog and we would have a decision in no time. He may or may not have rolled his eyes. So I need you to tell me which chair you like the best for our set up. Current set up. Side View: Don't you just love the STARK WHITE walls?? As soon as I get a house I am going to go crazy painting because I am so sick of the whitest walls ever. I have always been a BIG FAN of red chairs, however I don't know if it will go out of style quick, or look weird with our tan furniture. 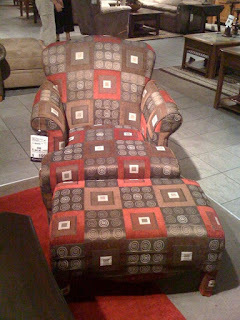 This particular chair was placed with a tan couch in the furniture store and it looked good. and it looked good. 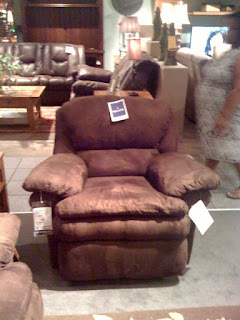 Just a plain brown (really comfortable) recliner. I love comfy recliners. So which chair do you like?